Try this stuff and then you can't get enough truff! People say scuffle like it’s a bad thing. 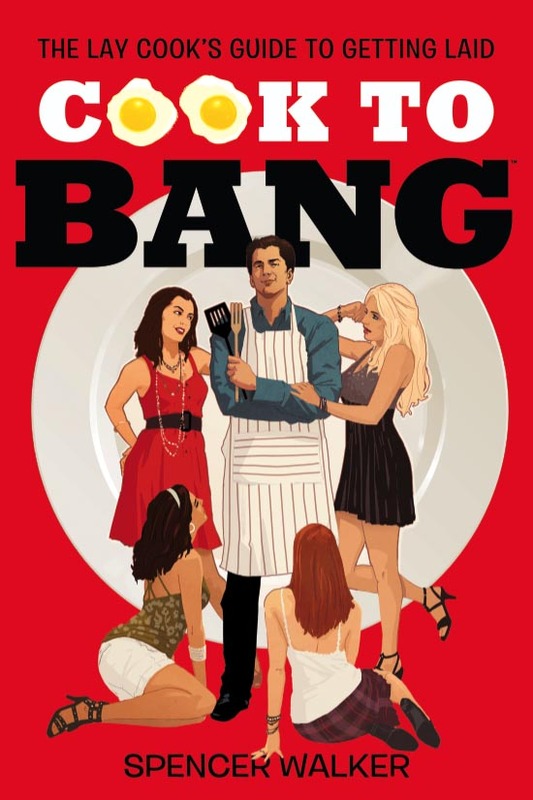 Disorder and confusion in tight quarters is usually how banging is initiated. It goes back to the days of playing 30 seconds in the closet. Those first experiences that created your perfectly pervy personality are examples of the good kind of scuffle. No doubt, most of you have ended up with your tongue in someone’s mouth as a result of tight quarters like the doorway at some crowded party or the backseat of your friends Volkswagen. Random? Yes. Unexpected? Definitely. Awesome? You betcha! So bring on the scuffles with truffles. Truffle oil is like a love potion crafted by the love gods, yet available for a price at yuppie food banks such as Whole Foods. Worth every goddamn penny. The bottle shall create many future scuffles, that lead to shuffles into the nearest tight quarters. 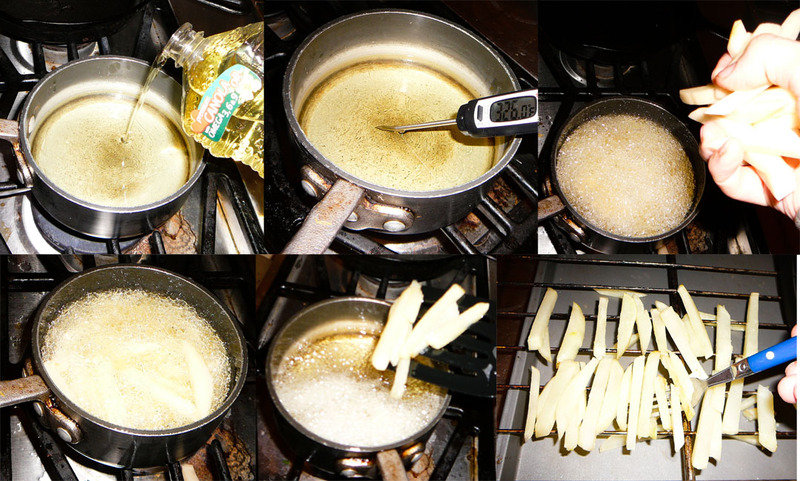 Peel the potatoes, cut fries via thin slicing crosshatch fashion, and then rinse out starch until draining water is clear. Heat up the oil in a small pot to 325°F/165°C. Throw in the potatoes and fry until the start to harden (approx 2 min). 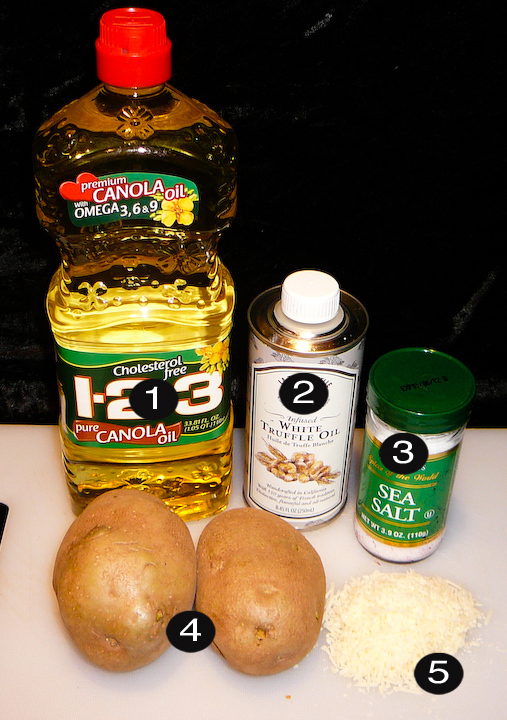 Remove from oil and lay out on something they can drain on (I used an oven rack set over a baking pan). Let them cool down (approx 2 min). To attain this level of awesome, Belgium-style double-fry for that extra crispy taste. Throw the fries back in and cook until they turn golden brown (approx 2 min). Allow the fries to cool and drain once more (approx 2 min). Things are about to get interesting. 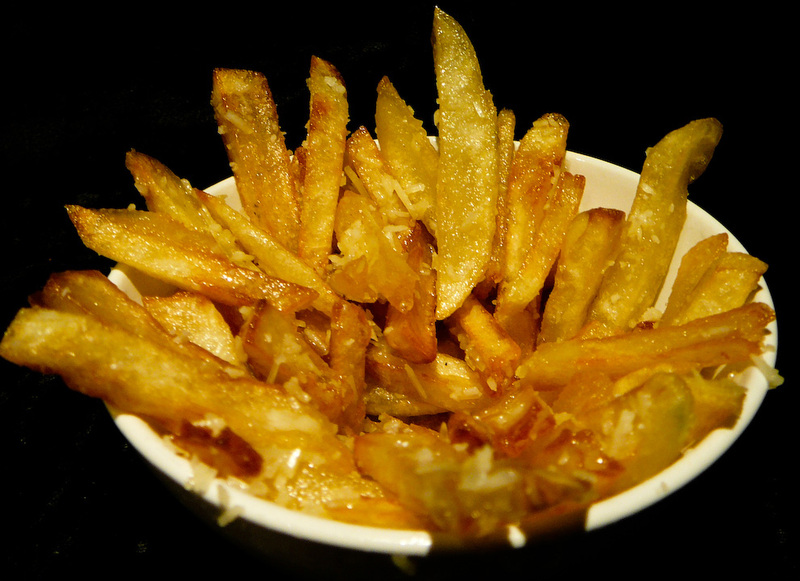 Dump your crispy fries into a bowl, drizzle the truffle oil, add salt and scatter the Parmesan. 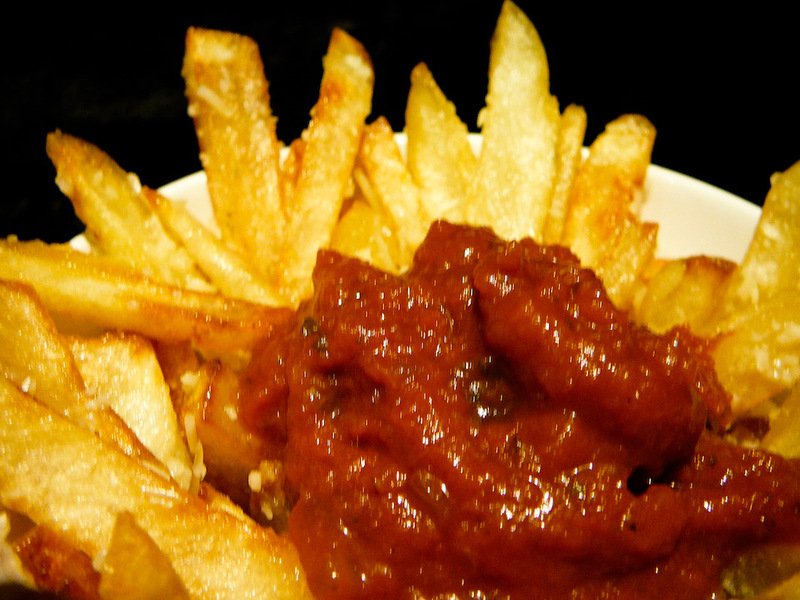 Toss the fries in the bowl of totally adulterated flavor and serve immediately. These fries hold up even without CONDOM-MENTS, but if you must, don’t overwhelm the truffle parmesan goodness. Rock simplicity a la DON’T BREAK UP, KETCHUP! This entry was posted on Monday, November 4th, 2013 at 9:01 am and is filed under carboluscious, CARBS WORKIN’ THE CORNER, french, RECIPES, vegetarian. You can follow any responses to this entry through the RSS 2.0 feed. You can leave a response, or trackback from your own site. Yuum, these look so good.